1. Core your apples and wedge them into six pieces each. 2. 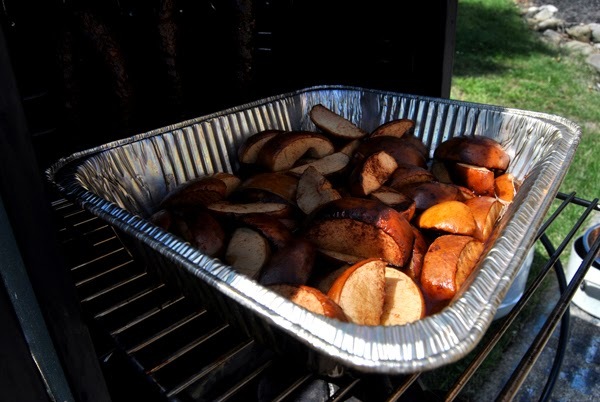 In an aluminum pan, spread your apples over the bottom, fill with water, then sprinkle with brown sugar, vanilla, and cinnamon. 3. 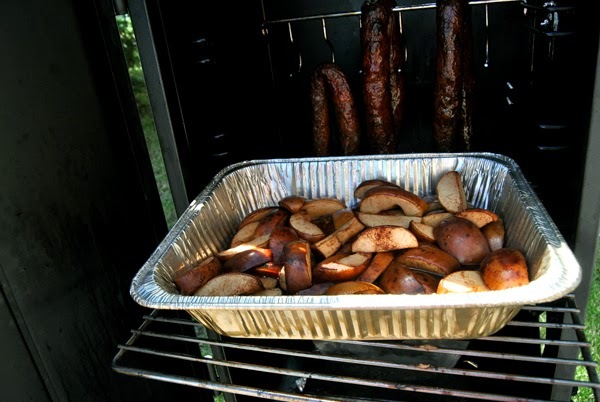 Smoke the apples at 200°F for 3 hours, or until soft. Check back every so often to make sure there is water in the apple pan. Serve hot.